The new 125,000 sq. 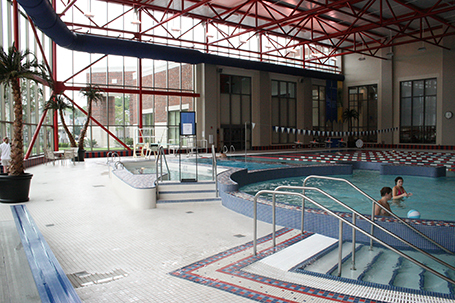 ft. three-level student recreation center called the RecPlex was part of the University’s master plan to revitalize student facilities on campus. 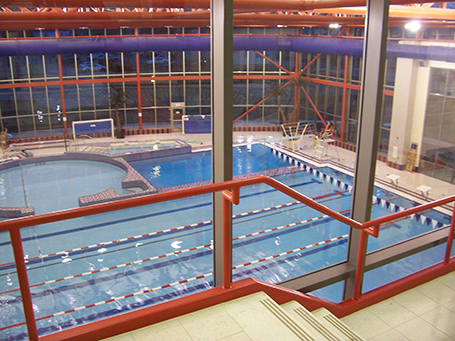 The RecPlex houses multiple recreation and fitness spaces, including a state-of-the-art swimming pool and spa, which was designed by Counsilman-Hunsaker. In addition to the aquatic facility, the first level also houses a gymnasium, racquetball courts, climbing wall, and classrooms. The second and third floors include a massive fitness center and aerobic studios.